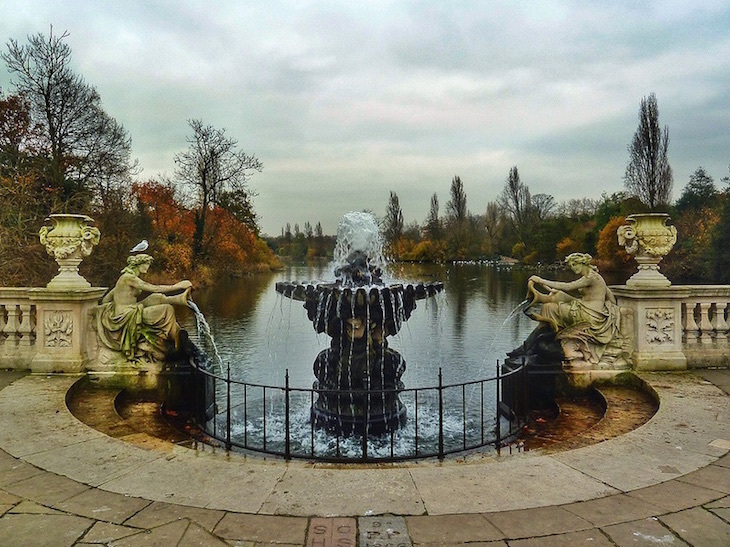 Why Does London Have So Many Royal Parks? Laura Reynolds Why Does London Have So Many Royal Parks? It's a piece of trivia often bandied around: London is one of the greenest cities in Europe, possibly the world. Whether that's true or not, London's eight Royal Parks* go a great way to upping the city's green credentials. 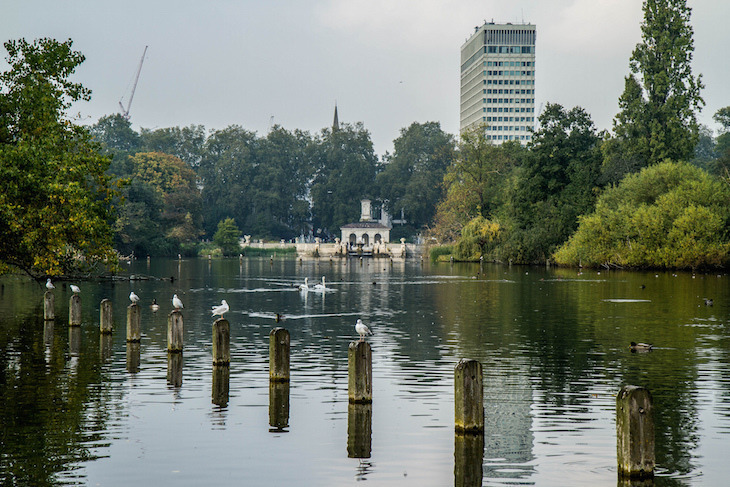 They cover a total of 5,000 acres — but how did so much of London end up as a Royal Park? The parks were amassed under the Royal title individually, rather than being part of one mass regal land grab. Find out how they each became royal. 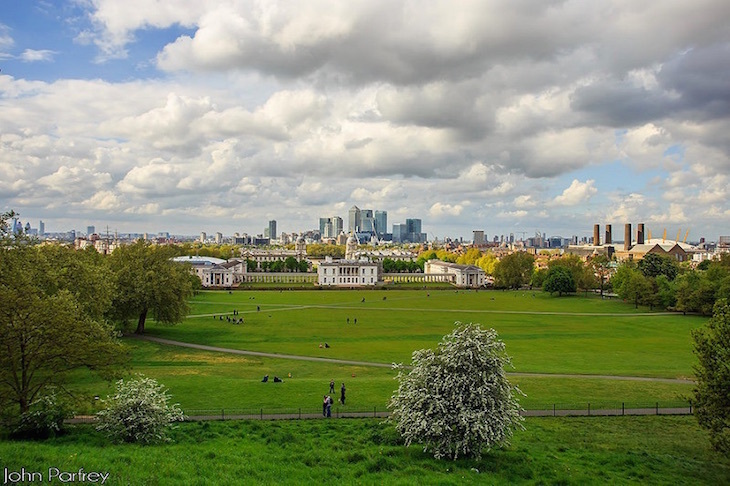 One of the only Royal Parks to predate Henry VIII's turbulent reign, Greenwich Park was inherited by Henry V's brother in 1427 and was passed down through generations of monarchs. Each added their own touch; Henry VIII introduced deer to the park (a small deer enclosure remains today — though you can no longer shoot them with arrows), James I's wife Queen Anne had the Queen's House built, and Charles II commissioned Christopher Wren to build the Royal Observatory. St James's Park seems the most obvious choice for a Royal Park, given that it's overlooked by the front windows of Buckingham Palace. But it predates the palace by many centuries. It takes its name from a leper hospital which was built on the site in the 13th century, but the land was claimed by Henry VIII in 1532, and used to fulfil his hunting needs (he had serious hunting needs). 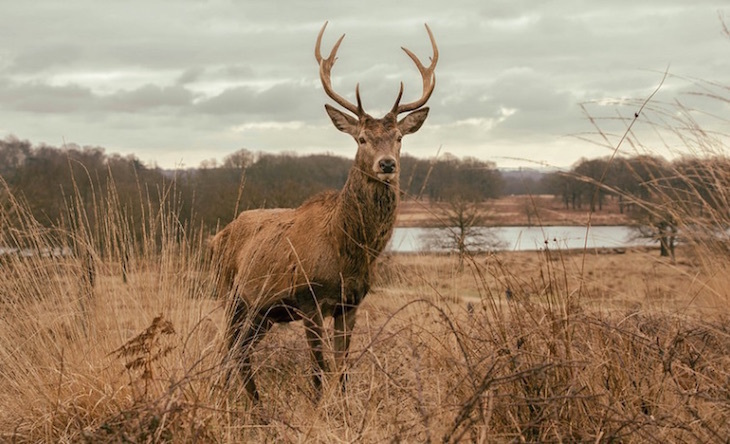 The park itself wasn't considered big enough to be used as a hunting ground, so he put it to use as an area for breeding young deer — once they were old enough, they were shipped off to Hyde Park and Regent's Park to face their fate. The history of Green Park is a little hazier than some of the other Royal Parks. 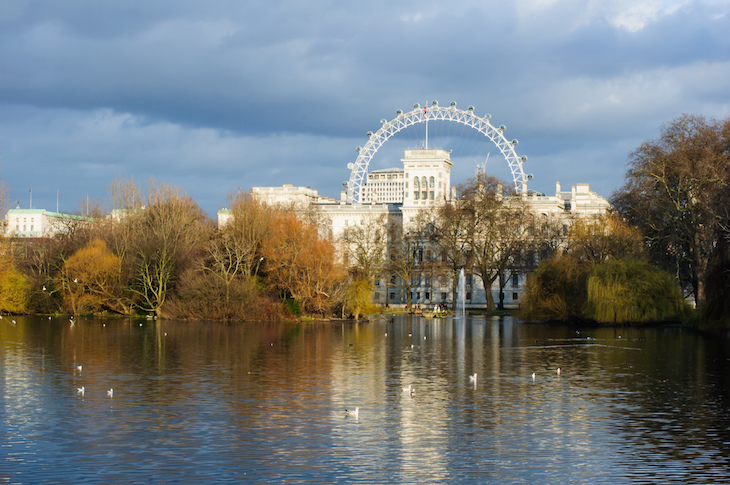 The first record of its existence dates back to 1554, although it was known as Upper St James's Park until around 1746, suggesting it was part of the original St James's Park seized by Henry VIII in 1532. Regent's Park was previously known as Marylebone Park — and prior to that, it belonged to Barking Abbey. Henry VIII seized the land in the late 1530s and used it as a hunting ground. It was redeveloped by John Nash in the 1800s at the same time as nearby Regent Street (also part of the Crown Estate). Find out more Regent's Park trivia here. The largest Royal Park, Hyde Park was also seized by Henry VIII in 1536 as part of his Dissolution of the Monasteries. Not content with one central London hunting ground — and a deer breeding ground — he took to the saddle in Hyde Park too. It remained private until King James I allowed limited public access, and in 1637, King Charles I allowed complete public access. 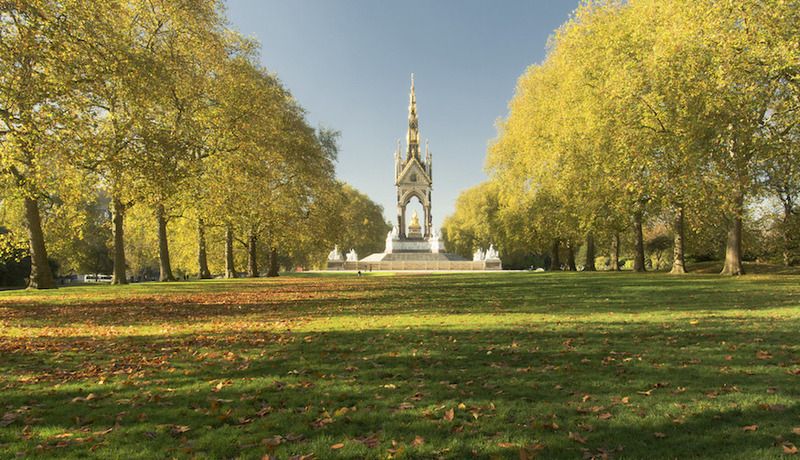 Kensington Gardens was originally part of the neighbouring Hyde Park, and was part of the land that Henry VIII put to use as a hunting ground. The two parks weren't separated until 1728, when Queen Caroline wanted to create a more formal landscape garden, but it remained in royal hands. Henry VIII acquired this land from Cardinal Wolsey at the same time as nearby Hampton Court Palace (see below). At the time, the area now known as Bushy Park was composed of three smaller parks; Hare Warren, Middle Park and Bushy Park. Once again, the King put the land to use as a hunting ground. Richmond Park is known for its deer herds today, so it'll come as no surprise that it was established as a deer park — although this time — gasp — Henry VIII wasn't involved. Charles I brought his court to Richmond Palace in 1625 to escape the plague, and established the deer park nearby. His decision to enclose the land in 1637 wasn't popular with locals, so as a compromise he allowed pedestrian access. 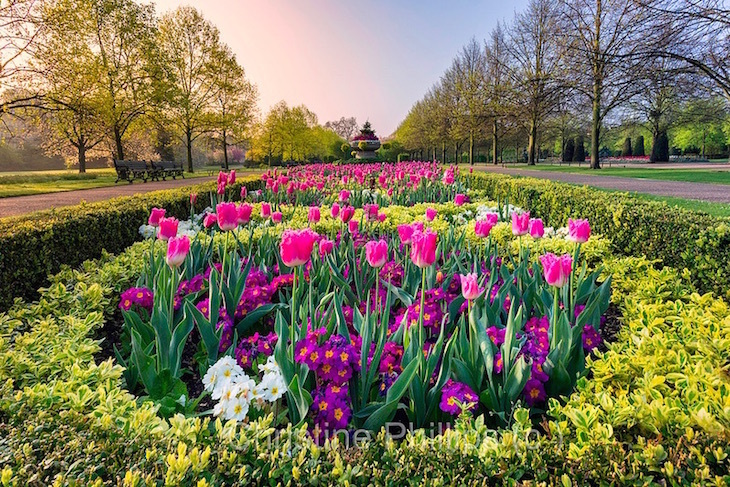 When Charles I was executed in 1649, the park was passed to the City of London Corporation, but was returned to royalty when Charles II returned to London in 1660. The sharp eyed among you will have realised we're now onto our ninth of the eight Royal Parks. 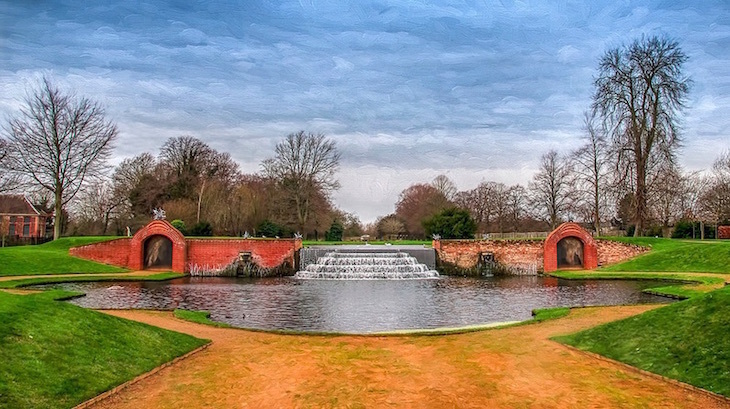 Hampton Court Park (also known as Home Park) is a special case in that it is a Royal Park, but it's managed by Historic Royal Palaces as part of Hampton Court Palace, and not by the Royal Parks organisations. How it came to be a Royal Park is pretty straightforward — the palace was built for Cardinal Thomas Wolsey in 1515, but when he and King Henry VIII fell out over Wolsey's failure to get the king's marriage to Catherine of Aragon annulled in 1529, Henry VIII seized the palace for himself, including the surrounding parkland (which, unsurprisingly given his track record, he converted into hunting ground). Both the palace and the gardens have undergone extensive renovations since, and Hampton Court Park hosts the annual Hampton Court Flower Show. The formal gardens surrounding the palace are covered by the palace admission charge, but the rest of Hampton Court Park is separate, and is free to visit. 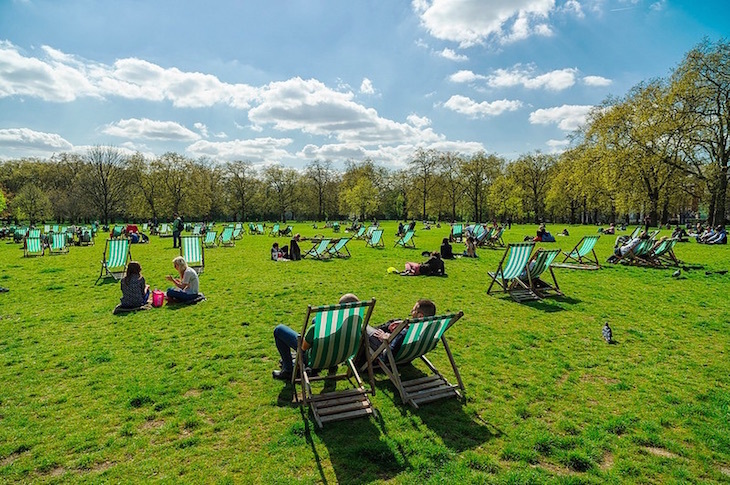 * The Royal Parks also manages Brompton Cemetery, Grosvenor Square Gardens, Victoria Tower Gardens and the gardens of 10, 11 and 12 Downing Street, although they're not classed as Royal Parks. How much of London does the Royal Family own? How London's parks got their names. Why does London have so many Royal societies?